Weather played a significant role during this cruise as well. We were delayed by strong winds and high seas for 91 hours over the course of our 16-day cruise, including a 41-hr stint when stormy conditions forced us to seek shelter in Bamfield, BC. NEPTUNE Canada offers a hearty Thank-You! to the crews of ROPOS and the CCGS John P Tully, as well as the able hands of our contractors and support people. This cruise could not have been accomplished so successfully without their help! After operations tests in Saanich Inlet, the CCGS Tully sailed to the VENUS Strait of Georgia site to help diagnose a power problem with the VENUS Delta Dynamics Laboratory. 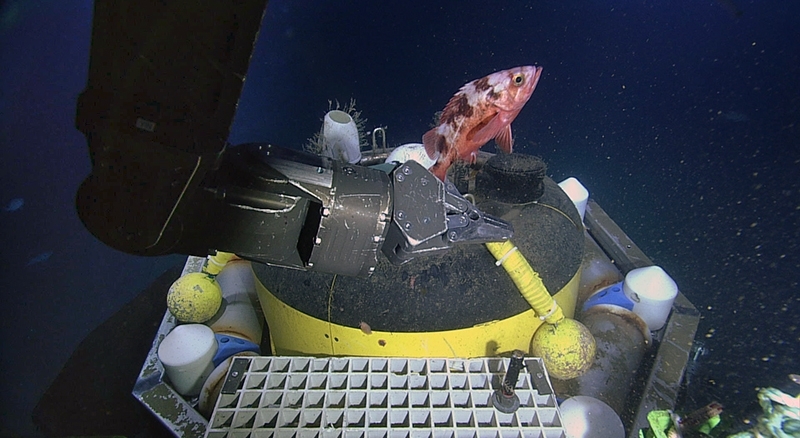 We made three dives at ODP 889 in order to swap out the instrument platform there and install a new auxiliary instrument platform connected to the broadband seismometer. We retrieved two instrument platforms from Barkley Canyon, benthic pods 3 and 4, which were installed last fall and have been in service for 8 months. Both platforms arrived in fairly good condition, and most instruments were ready to return to the deep after a quick clean-up on deck. Several instruments, however, did not survive their seafloor odessy. Over the course of a marathon 27-hr dive we installed a new siesmometer auxiliary platform, inspected the ODP 1027 instrument platform and nearby CORK, laid a 12.5km extension cable and installed the Cascadia Basin NE Bottom Pressure Recorder. 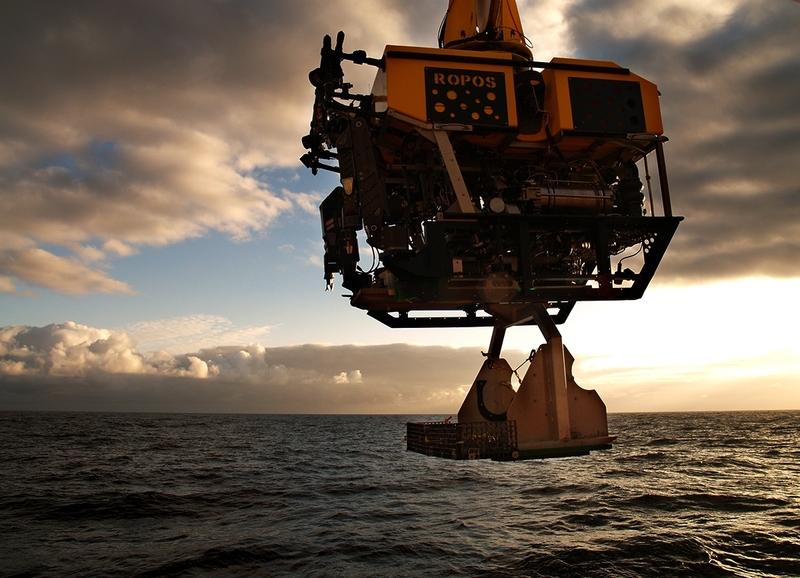 On 14 May 2010, Ocean Networks Canada, ROPOS and CCGS Tully crews worked together to retrieve the POGO vertical profiler system from its seafloor location, 396m below the surface on Barkley Slope. Both Tully and ROPOS crews were highly effective in their various roles executing this complicated and potentially dangerous operation. On 15 May 2010, we made two dives in Folger Passage, once to Folger Deep and a second dive to Folger Pinnacle. During these dives we swapped out the Folger Bottom Pressure Recorder, found and marked the end of the cable extending from the node up to Folger Pinnacle and cleaned up our little mess from last year. Over the course of a head-spinning 2-day, 5-dive frenzy we fetched 3 instrument platforms, re-deployed 4 instrument platforms and collected samples from 4 different locations. The action was so quick, it was sometimes hard to know whether we were coming or going! On 18 May 2010, we revisted ODP 889 to install an Imagenex multibeam sonar. 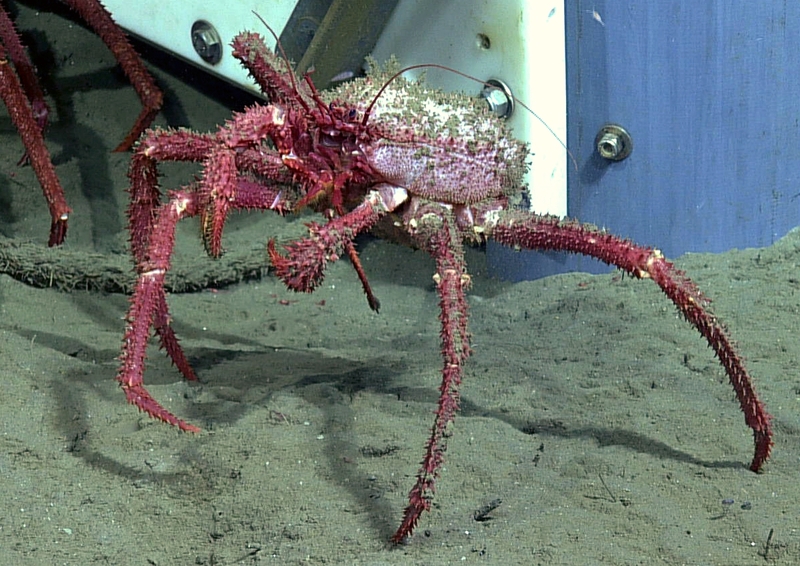 With it, scientists hope to study plumes of methane gas that bubble from the seafloor in a portion of the Bullseye Vent called Bubbly Gulch. We paid a quick visit to Wally the Crawler's gas hydrate world in Barkley Canyon. Our tasks were to deploy one experiment, retrieve another, collect some clams and give Wally some TLC. Wally the Crawler has been busy over the past 8 months, and it was time for a little clean-up. On Friday, 21 May 2010, we made two dives to retrieve instruments from the seafloor at both ourODP 889 and ODP 1027 locations. From ODP 889 we retrieved a Pore Fluid Array and the Seafloor Compliance apparatus. From ODP 1027, we retrieved a malfunctioning seismometer auxiliary platform. 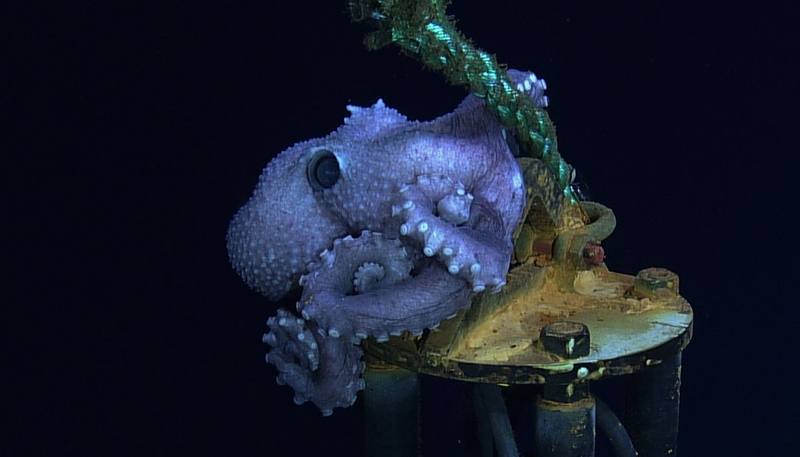 After a long weather delay, we finally completed our last 2 dives of this cruise on 23 May 2010 at Barkley Canyon. During a sunrise dive we retrieved a string of temperature probes from a gas hydrates outcrop. 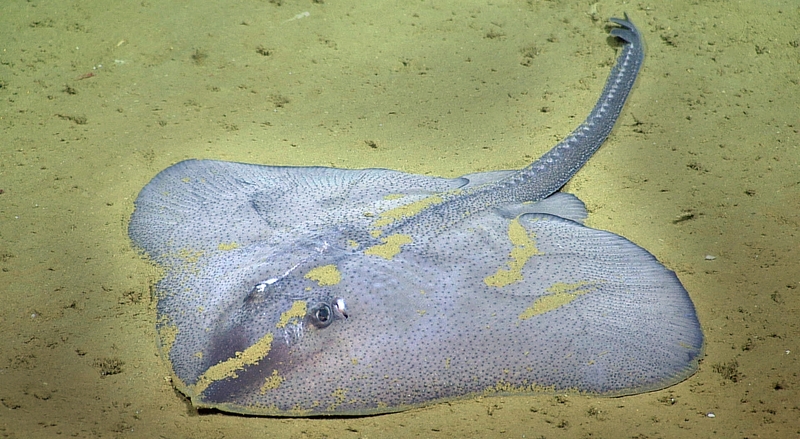 After returning to the surface, ROPOS then dove again to deploy Barkley Benthic Pod 2 together with a new sediment trap.